Come check out this completely remodeled home before it is too late! 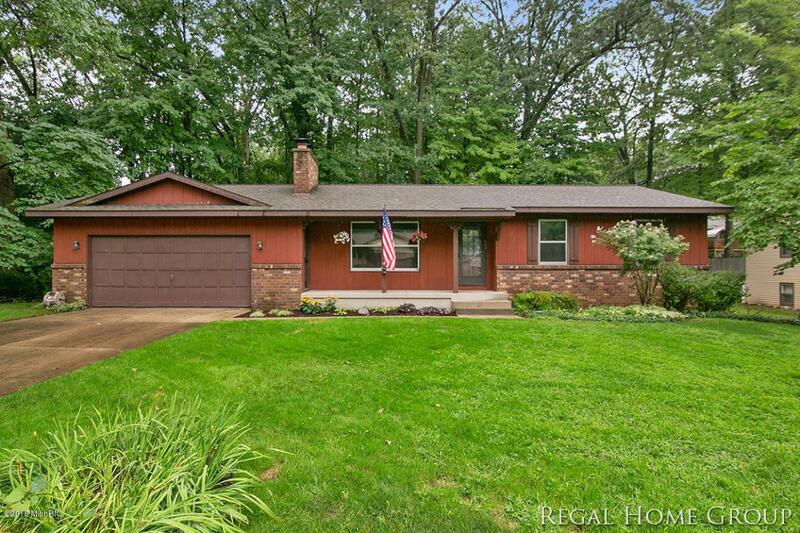 This ranch style home offers a large living room with a fireplace, semi-open to the dining space. The main level also offers a very nice size kitchen and dining space with a slider out to the back deck. Also included is main floor laundry connected to a full bath. Three addition bedrooms as well as another full bath which connects to the master. The oversized garage offers parking as well as an abundance of storage. The basement is unfinished but allows for storage as well as the ability to add another 1000 square feet of living space. The home features a newer water heater, furnace, ac and roof all within the last four years. This home sits on a wooded lot on a quiet street. This home defines move in ready. Listing provided courtesy of Jacob Peterson of Re/Max Of Grand Rapids (Stndl). © 2019 MichRIC, LLC. All rights reserved. Information deemed reliable but not guaranteed.